I got this great mug from my Dad last week. 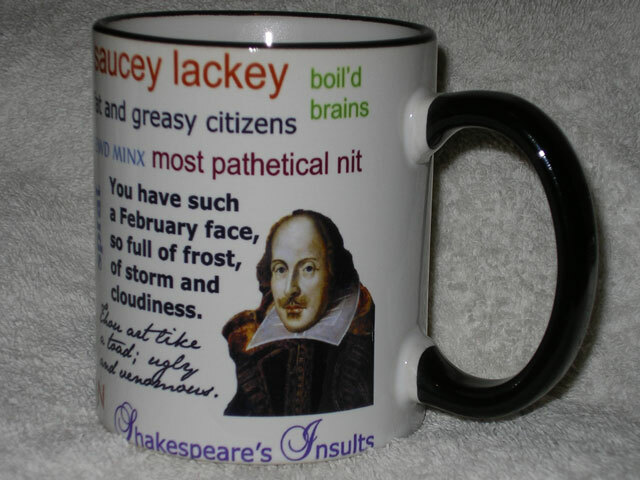 It lists a multitude of great insults from a multitude of Shakespeare plays. Over the next few weeks, I’ll post each of the insults with a link to the text of the play. Enjoy! This entry was posted in Funny and tagged insult, language, quotes, Shakespeare.